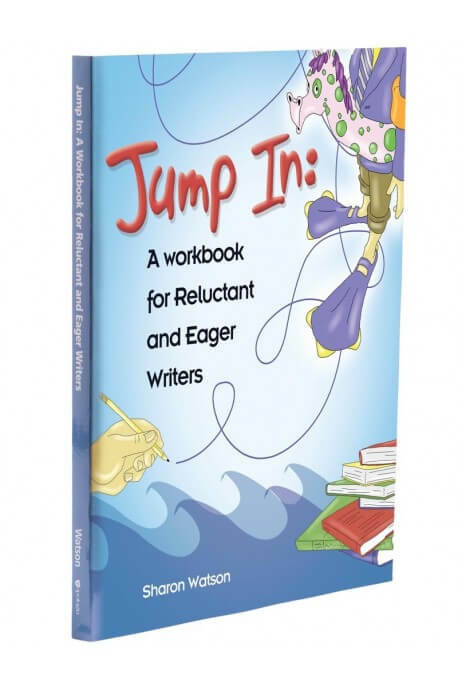 Jump In will help your student learn to write persuasive papers, expository essays, descriptions, narration, and poetry. The easy-to-use parent/teacher section includes what to look for in an assignment, how to assign a grade, how to help the student proofread, and a one-year writing program with daily writing prompts designed to be fun and interesting. 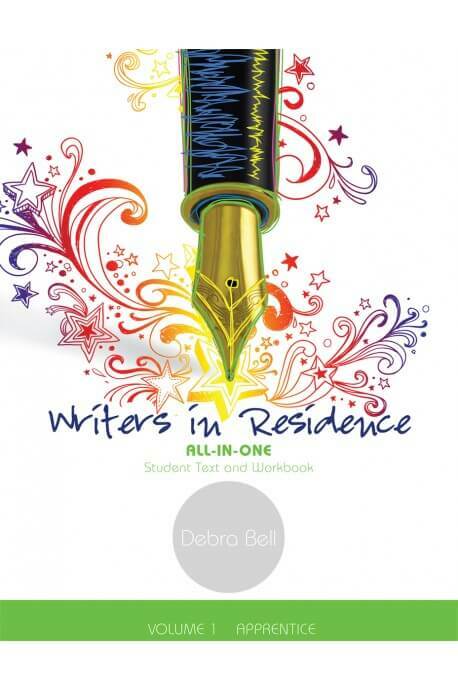 Writers in Residence™ is an exciting new language arts curriculum from Apologia and Debra Bell! This writing-focused program will guide your student as they find their unique, God-given writing voice. This workbook is an excellent foundation for developing creative writing skills. Topics covered include the tools needed for writing, review of sentence structures, poetry styles and techniques, writing dialogue, outlining a story, writing powerful beginnings and endings, rewriting and proofreading, manuscript preparation and critiques, copy­rights, how to get published, and a Christian philosophy of writing. Excellence in Writing gives you tools to help you teach not just what to write, but how to write-in a way that is organized and stylish-guaranteed! Welcome to the Institute for Excellence in Writing, where we guarantee that you can learn to teach your students to write. 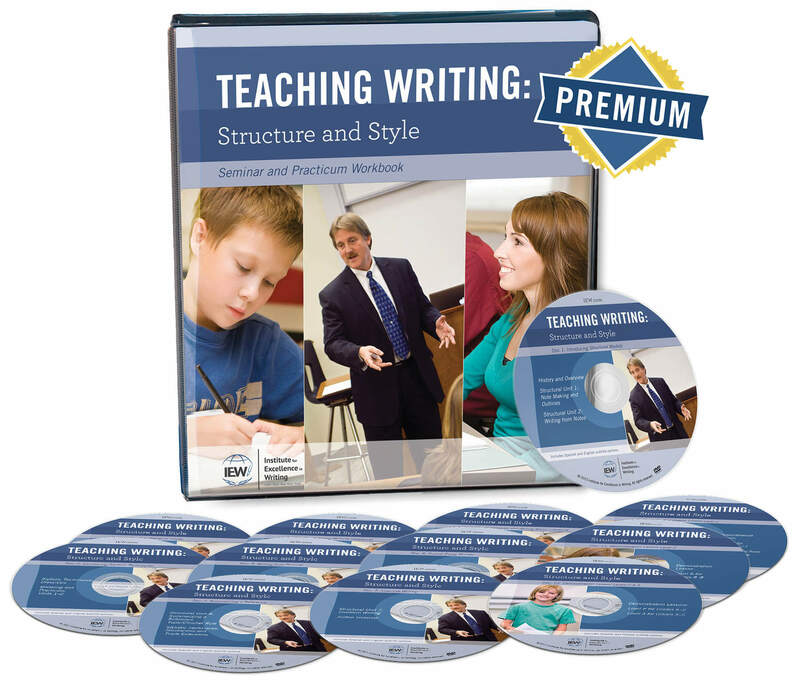 Begin with Teaching Writing: Structure and Style for the IEW basics. Add a Student Writing Intensive to make your first year easy. Advance their writing with one or more of the Student Continuation Courses. Save money by purchasing the TWSS/SWI Combo course. Other materials to help develop writing skills.